Luxury Executive Apartment is situated a gorgeous resort-style gated-community complex in League City, Texas; which is also home to the spacious South Shore Harbour Resort & Conference Center, NASA/Space Center Houston, attractive recreational areas and a vast of the most desirable upscale restaurants and shopping centers. The community is also in close proximity to a marina, a 70,000 square foot fitness center, miles of bike/hike trails, the University of Houston Clear Lake, Kemah Recreational Area, and a collection of thriving residential neighborhoods. The area's retail, entertainment and restaurants are either at walking distance or a few minutes by car. Golf: For serious golfers, we are pleased to inform that our executive apartment is located next to the South Shore Harbour Country Club golf course. Additionally, other area's daily fee courses include Clear Lake Country Club, Clear Creek Golf Course, and Glenbrook Golf Course and Southwyck; all within a 10 mile radius. MD Anderson Clinic: Close to MD Anderson Clinic Clear Lake. Super Luxury Bathroom Travertine and marble Granite. Glass vanity sink. Luxury Towels. Luxury Executive Apartment Fully Furnished. Close to Nasa, Kemah,Galveston... *Gourmet Granite Kitchen* Marble Flooring,Travertine Marble Bathroom*Designer furnishing*Elegant Decoration*super Luxury Pillow-Top Mattress...*All bills paid. *Resort Style Community. New Fitness. Welcome Gift Basket. Looking at this site? This rental is as nice as the photos. Interior decorator presence, really nice, well laid out floor plan. 1-2 people could live comfortable long term here. Pool & Gym on property. Interacted with Franklin the owner he is very attentive and professional. Would recommend and stay here again. This spot was perfect for our short stay. Had everything we needed (clean apartment and quiet location) plus close to many dinning opportunities. Highly recommend it! This apartment is as beautiful in person as it looks in the pictures! Maybe even better! It was immaculate and very spacious yet also cozy! Franklin was great and very prompt in responding! I will definitely stay here again! The owner was great to deal with- Promptly replied to all my questions and had everything ready. Everything in the apartment was up to date and nicely decorated. Great location , near Kemah and many restaurants. Definitely enjoyed our stay and will consider renting again. 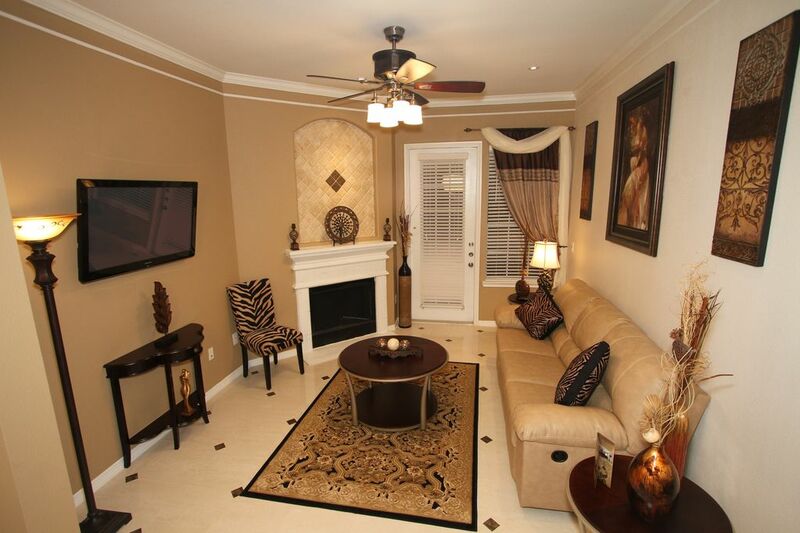 Very clean and beautifully decorated! Would definitely stay here again. This is the second time I have stayed in this condo. First time was last year for 3 weeks. This time I stayed for 12 days. Much better then staying in a hotel for long periods of time. Nice to have a kitchen to cook in and washer and dryer to do laundry. The owner Franklin is a very nice man and is there to help you if there are any problems. Next long visit to League City I will be staying in this condo!!! !